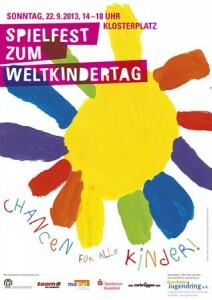 Liz reminded me about the spielfest for World Childrens Day tomorrow Sunday Sep 21st at Klosterplatz. Lots of games, music and activities for kids from 2pm – 6 pm. One of my favourite ways to learn German is to listen to audio lessons while I do the cooking, laundry etc. I really like Michel Thomas‘ audio course, it’s a good supplement to a language school class (he does go quite fast). But he really helps build up your vocab and explains the German language in a clear way. I have also started listening to Deutsche Welle Radio’s free online course which looks pretty good too and go up to B1 level. They have watching, listening and reading exercises and self tests. There are lots of other on-line ways to learn German, especially the basics for example BBC or the Goethe-Institute offers free practise tests and exercises. English Grammar for Students of German is my favourite grammar book, it explains everything in English terms first – I have no idea how the dative works for example in English, and then goes on to explain how it works in German. A very clear book and very useful in German class when I’m not really understanding the teacher. This is more of a companion book as in it explains the rules of grammar very clearly but doesn’t list verb tables etc. 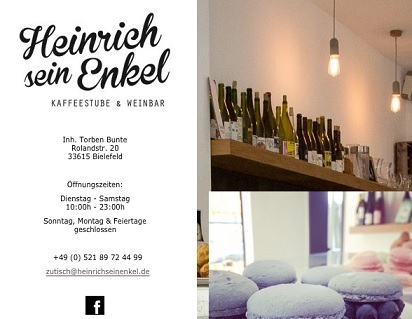 I have missed most of Bielefeld’s 800 year anniversary celebrations but there are still plenty of events and exhibitions happening for the rest of the year all over town. Some really interesting things happening so check it out. You can also pick up a brochure of all the events and find out more at the tourist office. This is a very useful page on the City of Bielefeld’s website for foreigners coming to Bielefeld. It offers information on all aspects of life in Bielefeld, from getting visas, registering, services for children, german language courses, housing, transport etc. It’s in English, Russian and Turkish.